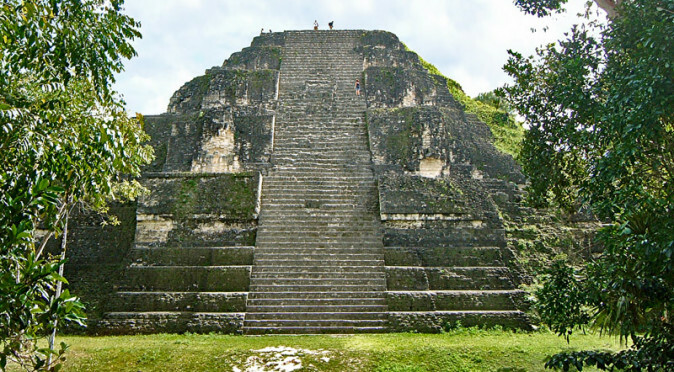 Tikal Group G is located on the eastern edge of the ceremonial centre and is accessed from the Mendez causeway that leads to Templo VI (the Temple of Inscriptions). 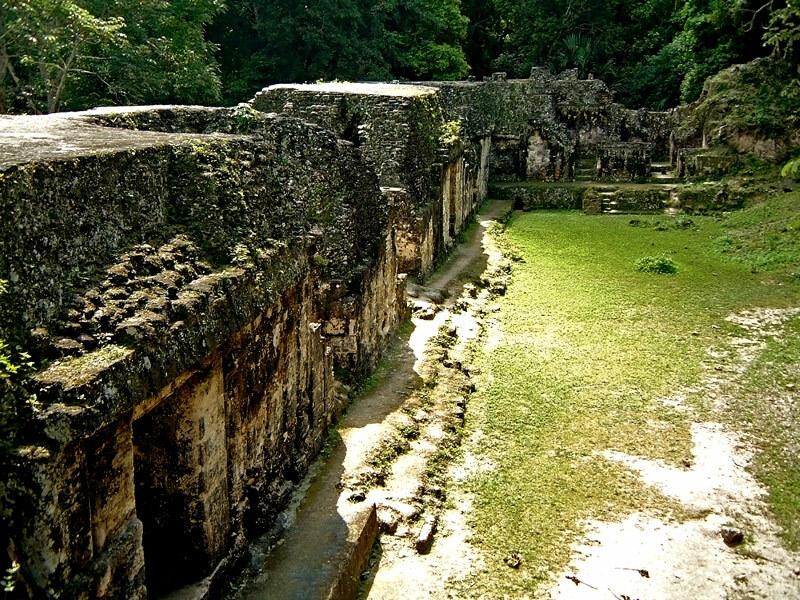 The extensive ruins of Tikal Group G are thought to be the palace of one of Tikal’s foremost builders, King Yik’in Chan K’awiil – the son of King Jasaw Chan K’awiil, whose funerary monument and resting place is the iconic Temple 1 in the main plaza. 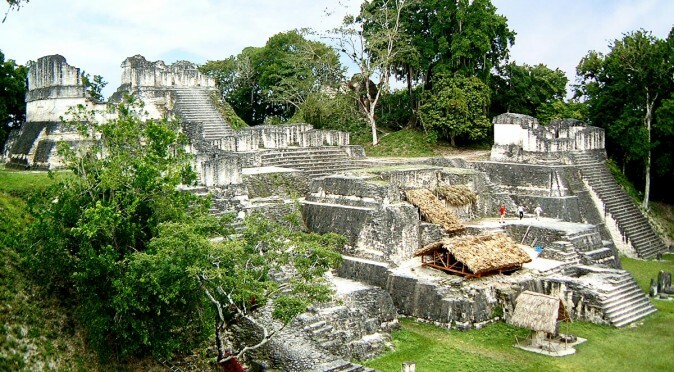 This would date the construction of Tikal Group G to around 734AD to 746AD. 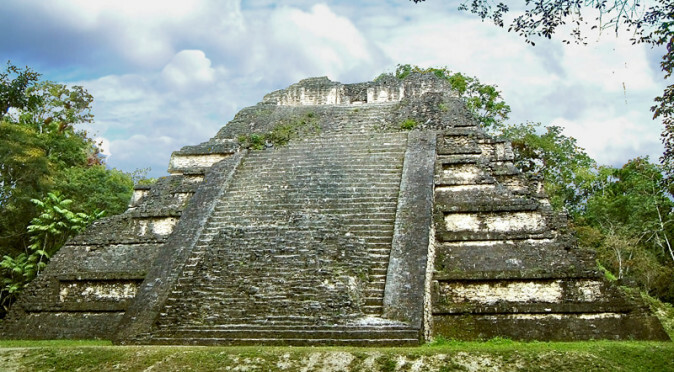 Why is Tikal Group G called the Acanaladuras Palace? 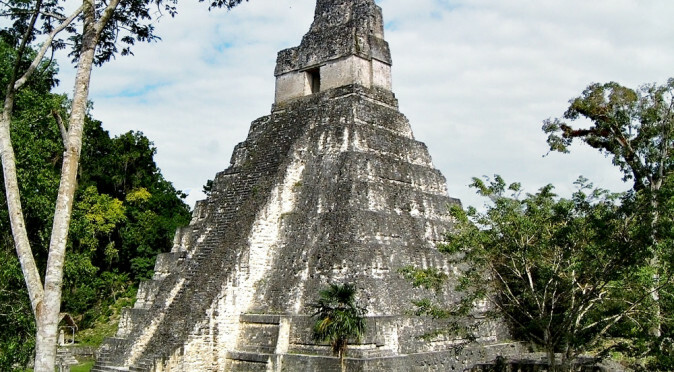 Tikal Group G is also known as the Palacio Acanaladuras (Palace of the Vertical Columns) thanks to its design which features vertical column-like elements known as pseudo-columns. 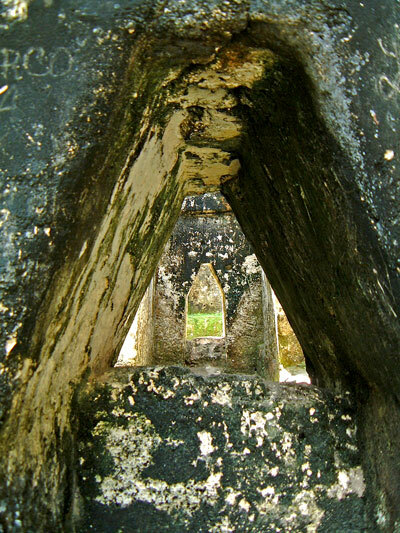 These are visible along the façades of the building, but are most apparent on the rear wall (see fig. 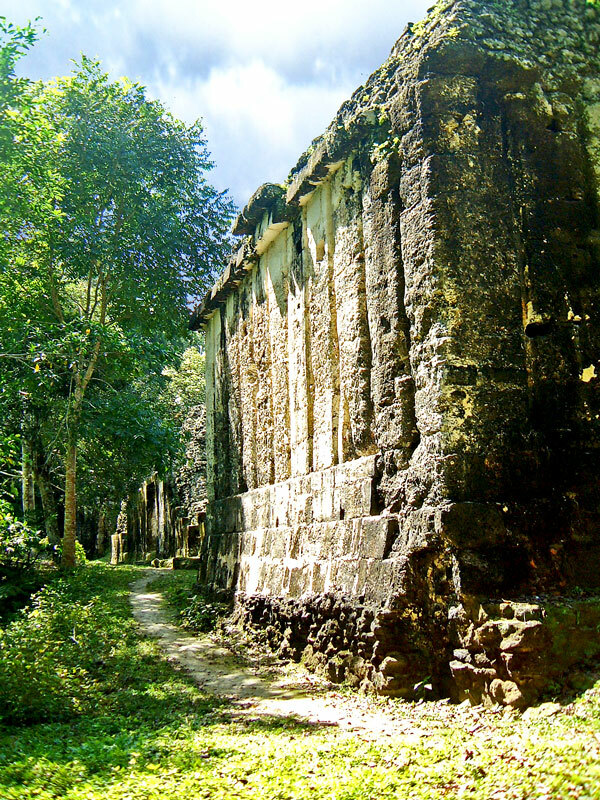 W0832 below). 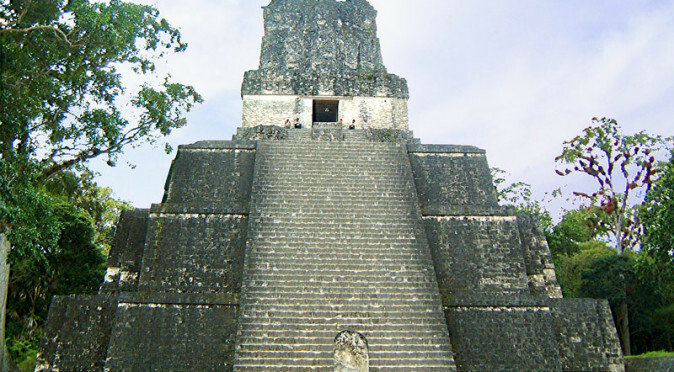 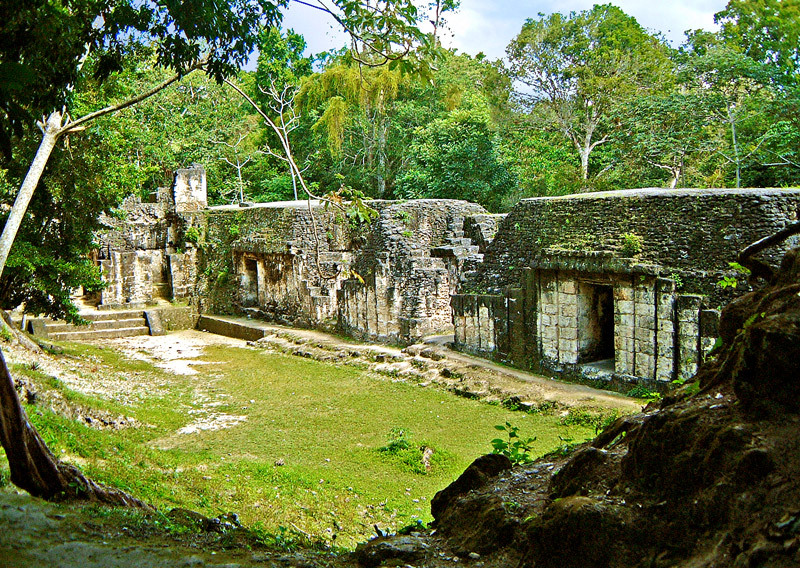 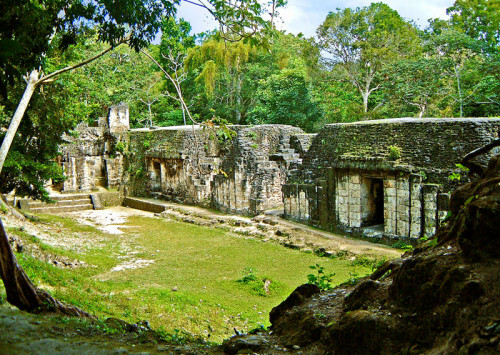 The buildings are extremely well executed, which is partly why they have been attributed to Tikal’s master builder, King Yik’in K’awiil, who is also though to be responsible for completing his father’s work on Templo I and Templo II, as well as constructing the Maler and Mendez Causeways and building Templo IV and Templo VI1. 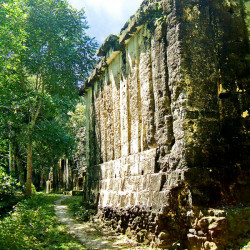 One example of the architectural mastery is the flamboyant use of corbel-vaulted passageways and windows between the chambers and plazas (see fig. 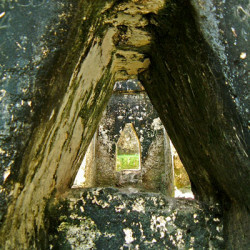 W0832 below). 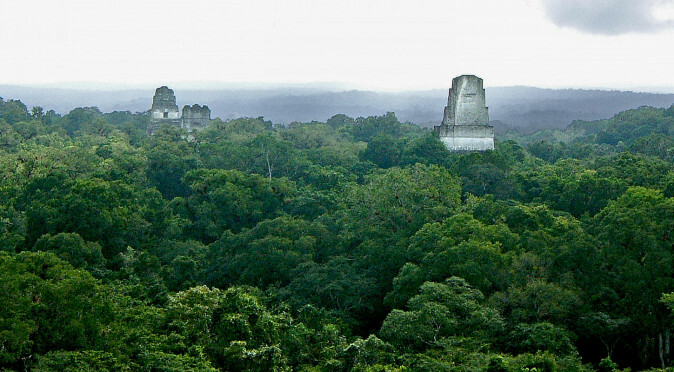 Tikal Group G is very extensive and was clearly a place of prominence during the Late Classic Period. 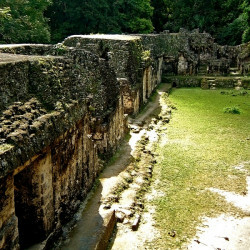 Today, it is one of the largest groups that has been uncovered, with a total of 29 vaulted chambers and the remains of a second storey which also featured vaulted ceilings . 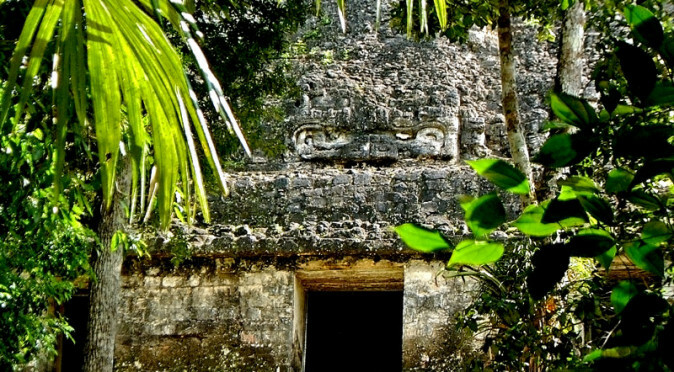 To add some intrigue to the findings, archaeologists also found the remains of what was once a giant stucco monster mask of a character known as the Witz Monster. 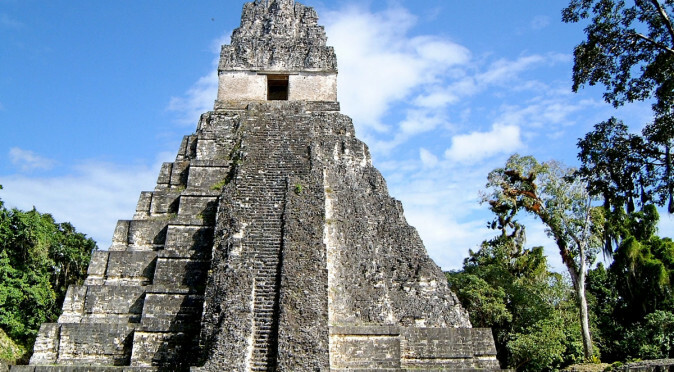 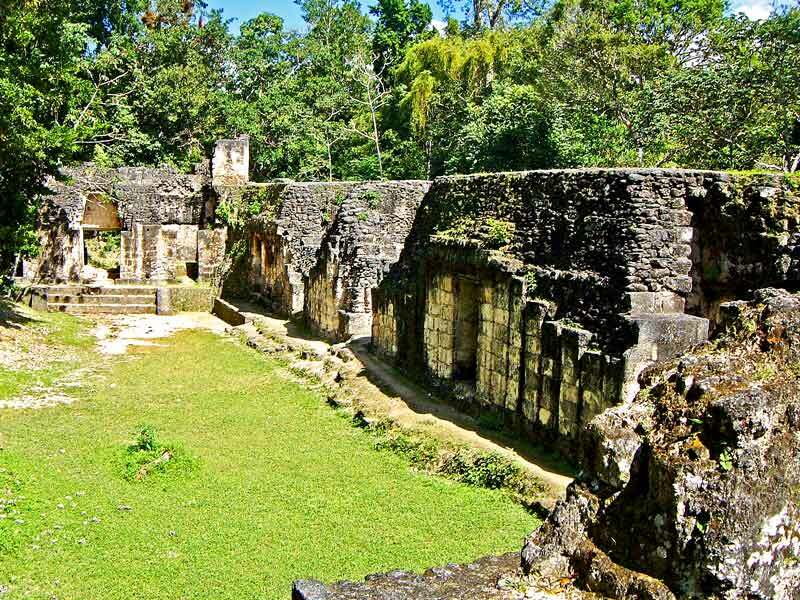 Hidden in the rainforests of Guatemala, Tikal was once at the heart of the Mayan Civilisation. 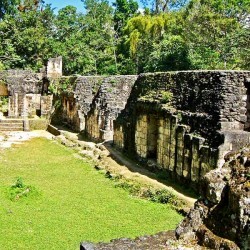 Today it is a magical destination for both its natural environment and amazing ruins. 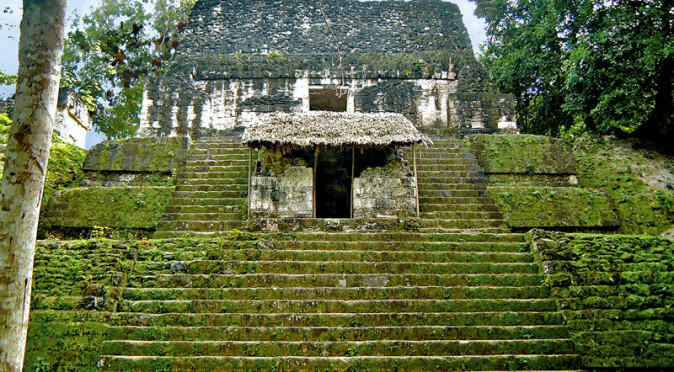 Templo II is known as the Temple of the Masks due to a pair of masks which flank the stairway, but it is actually a mausoleum for King Jasaw Chan K'awiil I's wife.